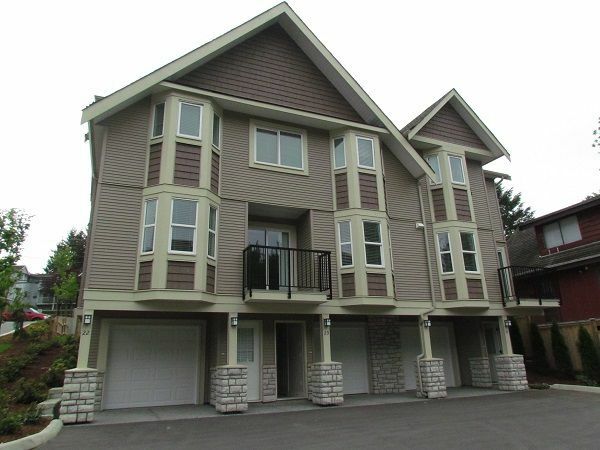 Gorgeous newly built Townhome in a great central location! This beautiful end unit features quartz countertops in the kitchen and all washrooms. The main floor features a bright and sunny kitchen with adjoining eating area and access to the sundeck, spacious living room, 2 piece guest bath and dining room. Upstairs includes a spacious master bedroom with walk-through closet and private ensuite, 2 additional bedrooms and a full washroom. Laundry conveniently located on the upstairs level. The basement level features a partially finished storage room. Walk out to your fenced yard from the same level as the living room! Single car garage with another outside space assigned by the strata. Hurry, don't miss this one!